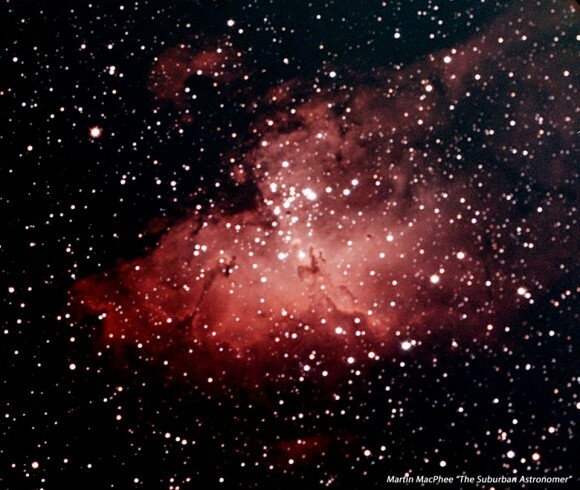 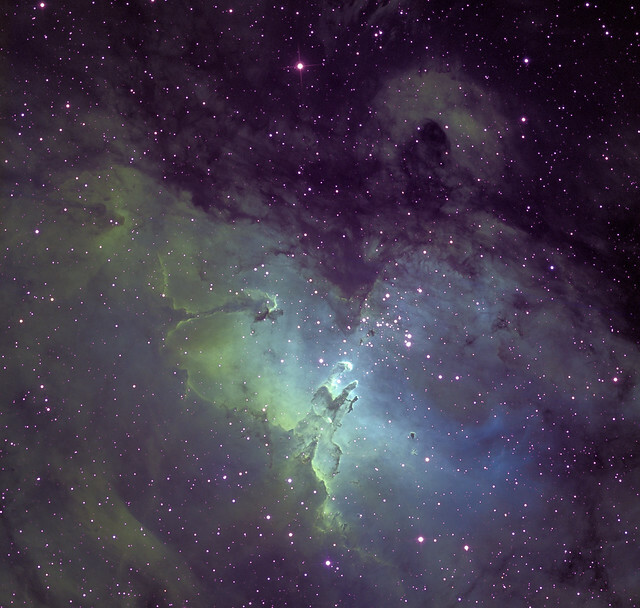 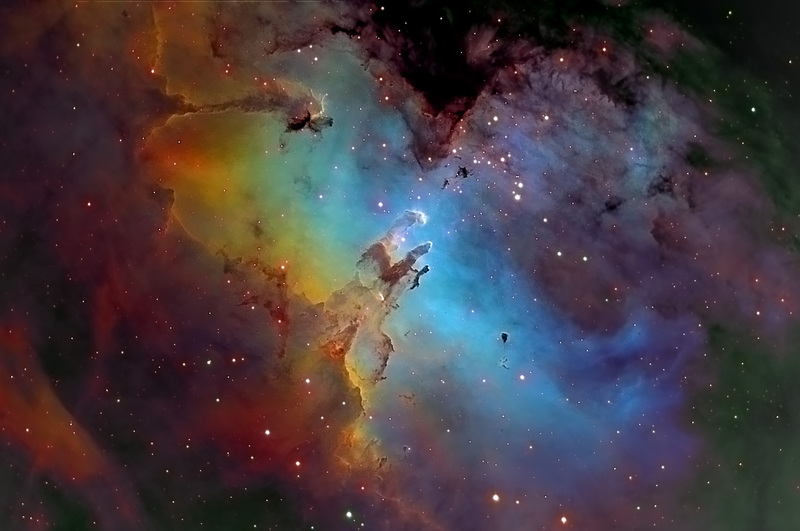 The Eagle Nebula (catalogued as Messier 16 or M16, and as NGC 6611, and also known as the Star Queen Nebula and The Spire) is a young open cluster of stars in the constellation Serpens, discovered by Jean-Philippe de Chéseaux in 1745–46. 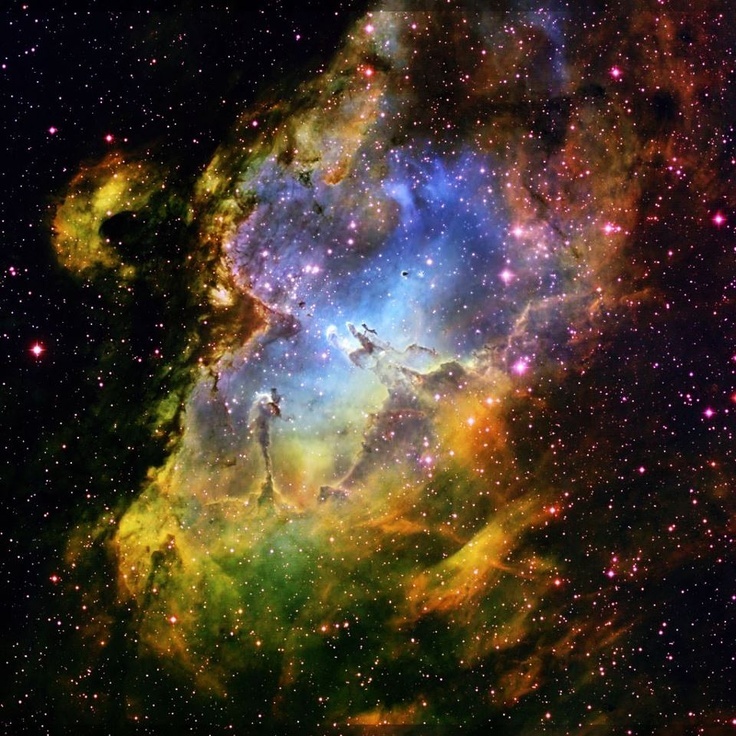 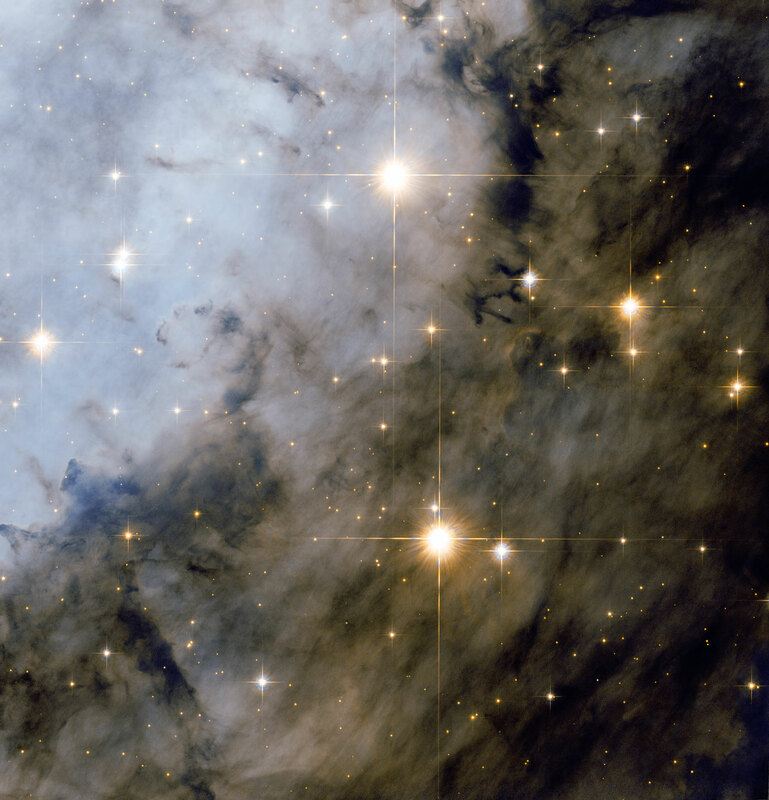 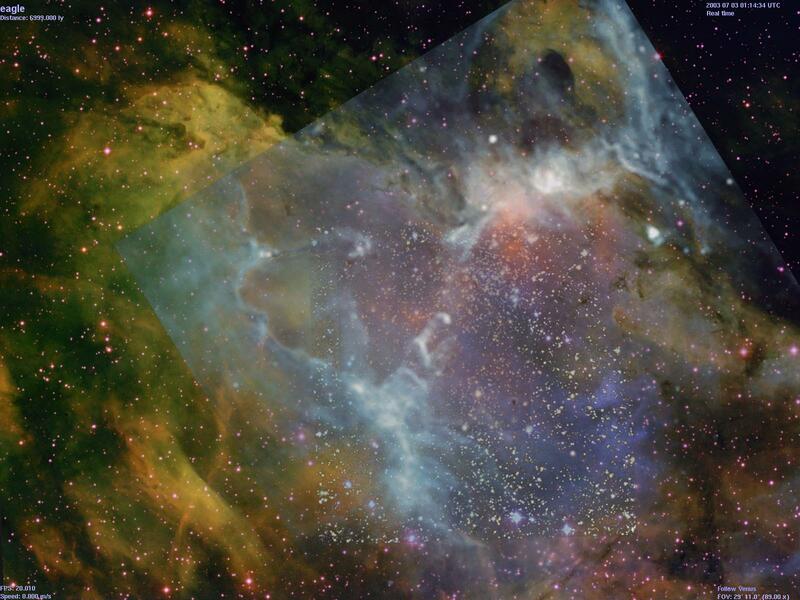 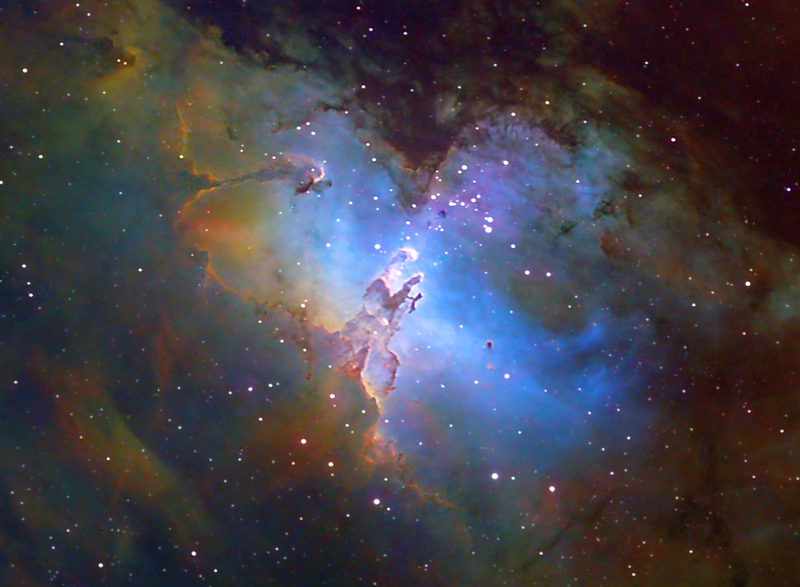 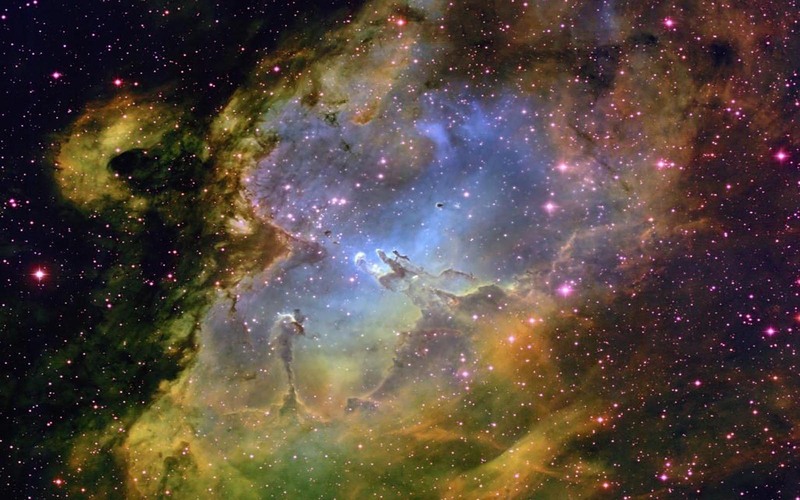 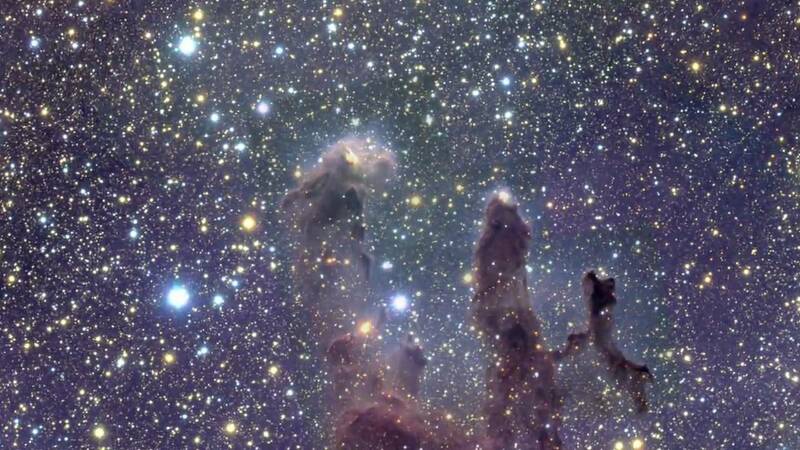 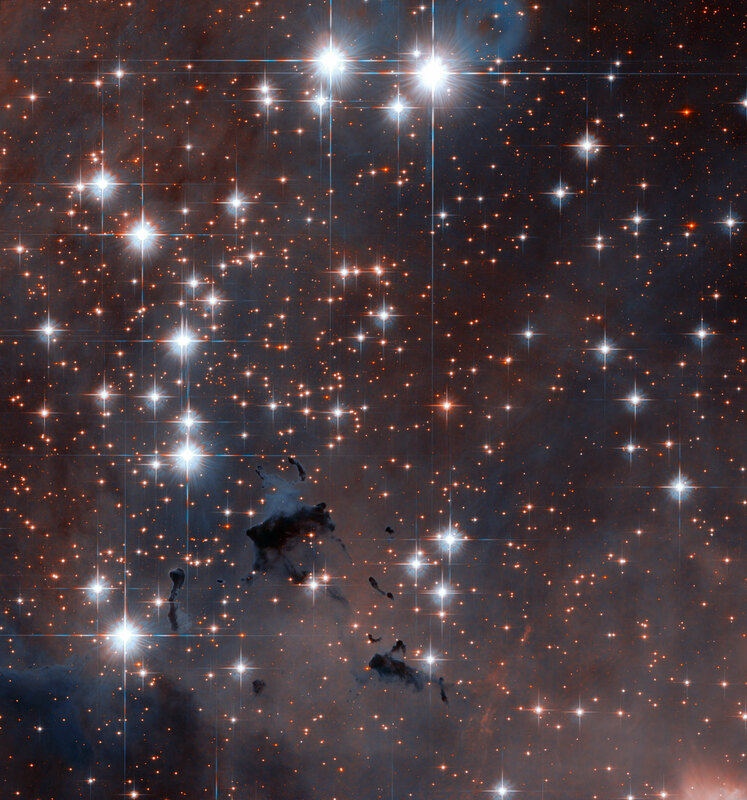 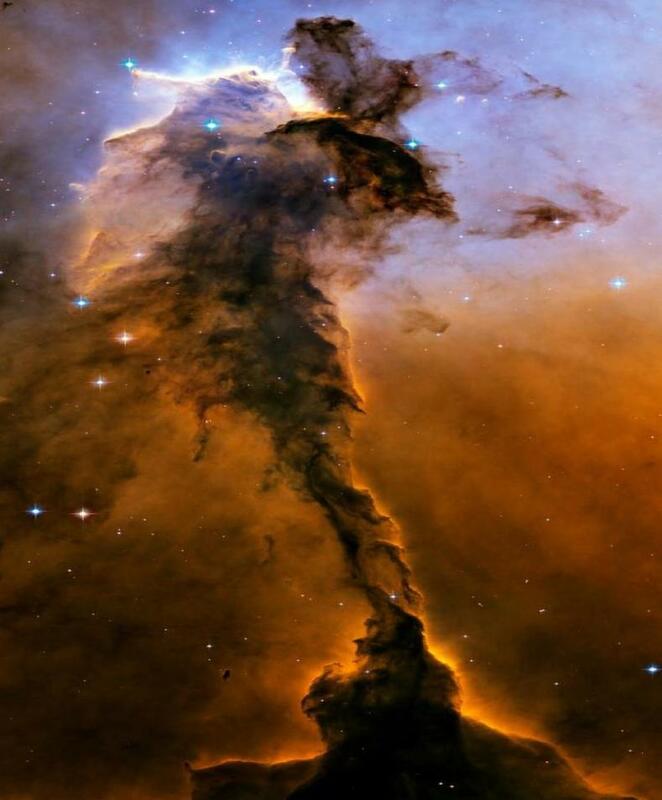 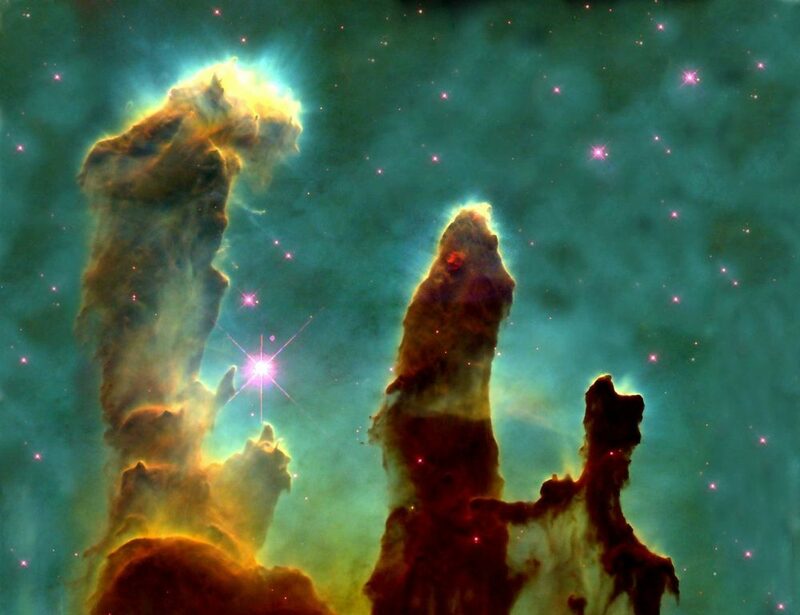 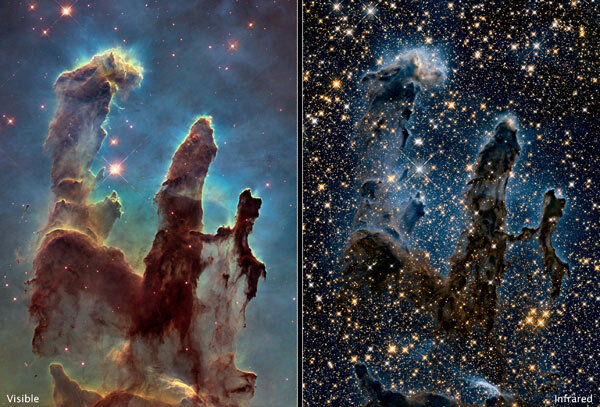 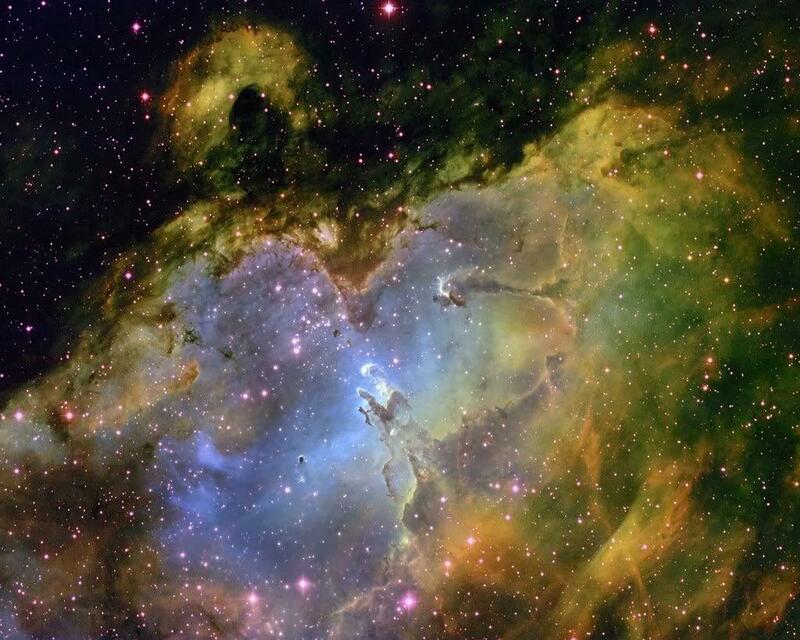 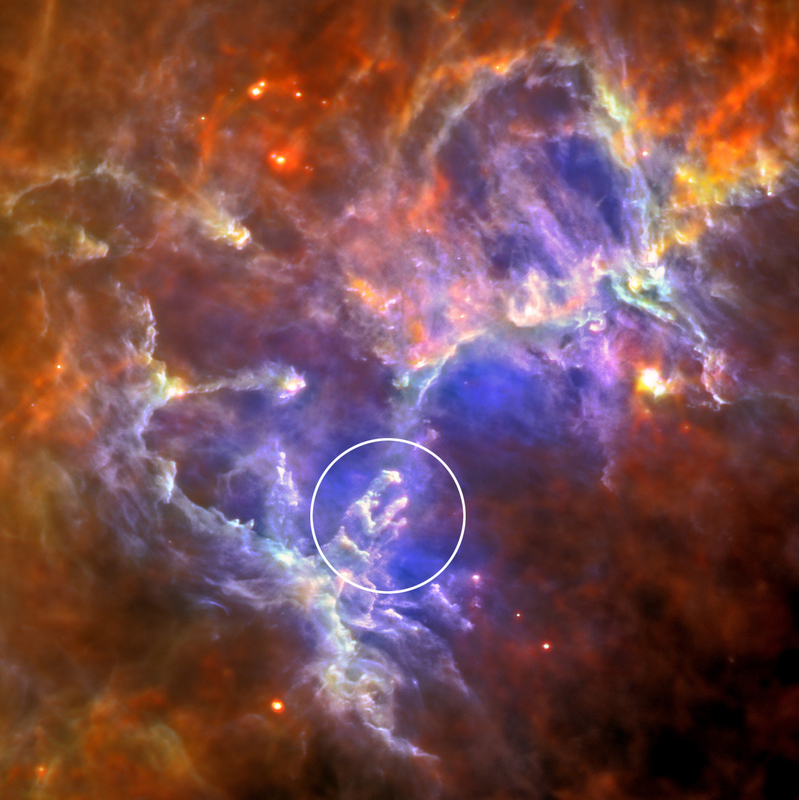 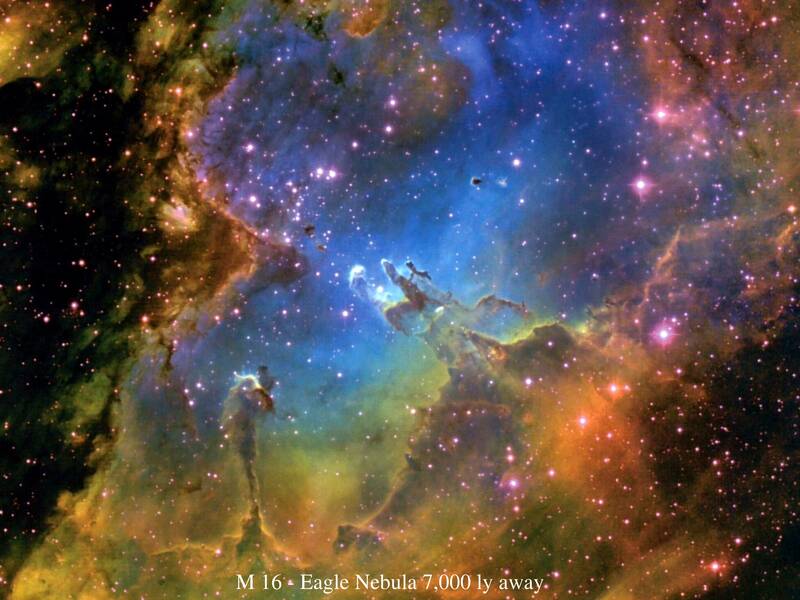 Both the "Eagle" and the "Star Queen" refer to visual impressions of the dark silhouette near the center of the nebula, an area made famous as the "Pillars of Creation" imaged by the Hubble Space Telescope. 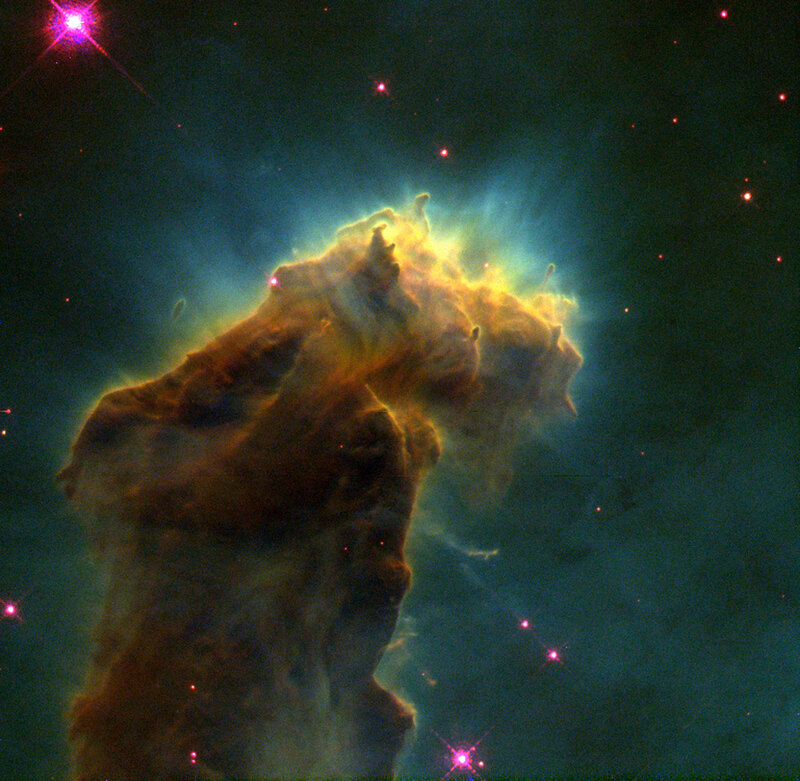 The nebula contains several active star-forming gas and dust regions, including the aforementioned Pillars of Creation.